Key artwork of Mitsusada "Koutei" Kenji and Super Dimensional Robo Daiyūsha, used as reference while animating the 2018 Cardfight!! 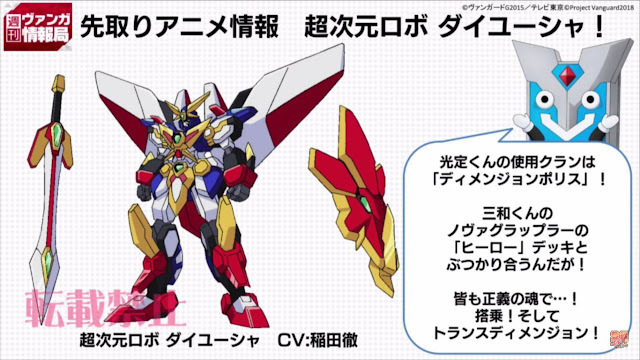 Vanguard anime. 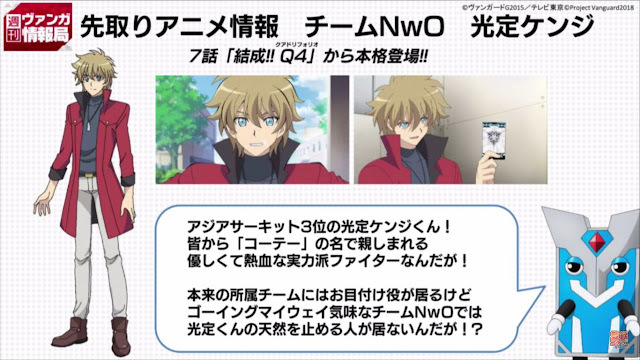 Daiyūsha will be facing off against Miwa Taishi's Hero deck in the new series. Daiyūsha is voiced by Inada Tetsu, voice of Shinjо̄ Tetsu. 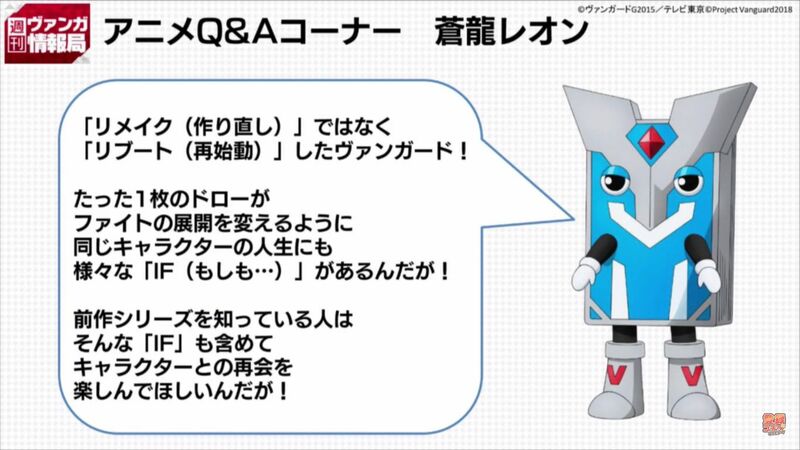 In this week's anime Question & Answer section, Vangarо̄-kun explains that the Aqua Force clan was never sealed in this new continuity, so Leon's lineage was never destroyed, and so he was never seduced by Void. 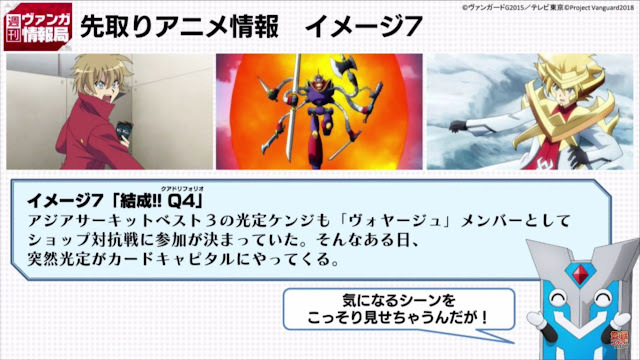 This time, Leon was able to peacefully grow with his friends as a Vanguard fighter. Rather than a "remake," the new series is a "Reboot" which explores a "what if" scenario for various characters. 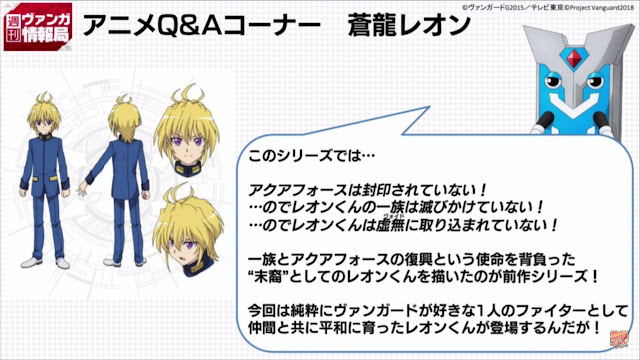 Those familiar with the previous series will enjoy both reuniting with the old cast and seeing how they're changed by this "what if."